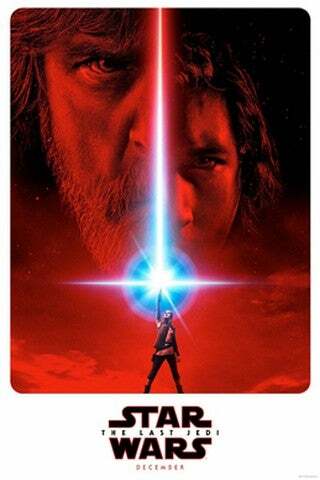 With the debut of The Force Awakens, audiences learned that Kylo Ren had an obsession with his grandfather Darth Vader, despite having never met the Sith Lord. In The Last Jedi, audiences didn't learn much about Snoke's connection to Vader, but the film's Visual Dictionary did uncover that the Supreme Leader has a connection to the deceased Sith that might be even stronger than Kylo's. 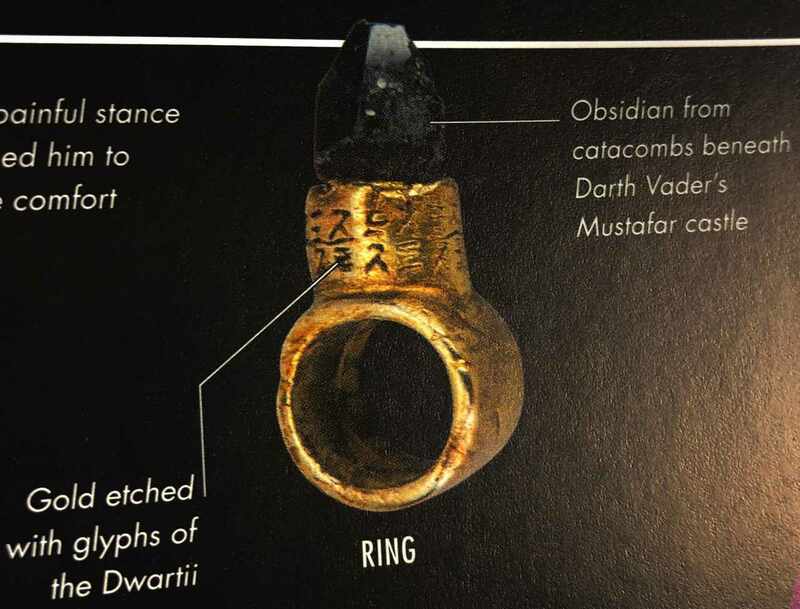 As you can see in the photo above, the focal point of the ring Snoke worn in the film was crafted from obsidian found on Mustafar under Darth Vader's castle. The castle itself served two purposes, with one being a testament to his defeat at the hands of Obi-Wan Kenobi in Revenge of the Sith and the other being that the castle was built over an ancient Sith cave. In The Last Jedi, Snoke took to mocking Kylo Ren for wearing a mask in hopes of intimidating his underlings and enemy's the way his grandfather did, all while he wore a jewel that served as a relic to Vader. Audiences witnessed a glimpse of this castle in Rogue One: A Star Wars Story, as it was a location Vader was ordered to spend time in by Emperor Palpatine. The specific location and design of the castle served as a conduit to the Dark Side of the Force, with Vader's powers potentially growing the more time he spent there. What makes Snoke's ring all the more interesting is that this Visual Dictionary reminds readers that Snoke himself is not actually a Sith Lord, which many had assumed he was. "[Snoke is] definitely not a Sith, but he’s certainly at the darker end of the Force," actor Andy Serkis told Empire Magazine earlier this year. "Without giving too much away, that begins to unfold a little in this one." The Visual Dictionary also sheds light on the current state of the Sith during the events of The Last Jedi. "That thousand-year lineage stretching from Darth Bane to the last Sith Lord, Darth Vader, was undone when Vader died destroying his mentor, Darth Sidious," the book reads. "The fulfillment of an ancient prophecy foretold the end of the Sith, but it never predicted the end of darkness." Considering Snoke isn't a Sith Lord, that would mean there's no current Sith Lord anywhere in the galaxy, with Vader being the last in a long line of them.